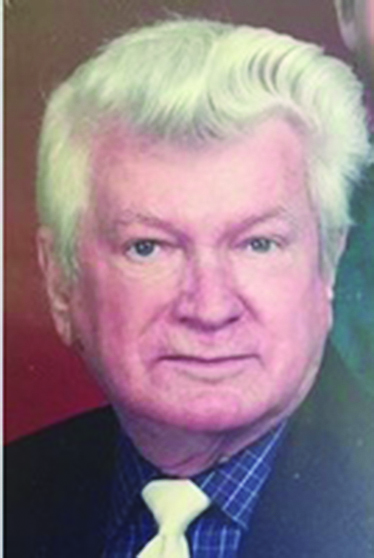 Home Obits JOHN THEODORE BATTEN JR.
John Theodore Batten Jr. was born Jan. 17, 1932, in Monroe to John Theodore Batten Sr. and Katie Mae Masling Batten. After graduating from Natchitoches High School, he attended Northwestern State College from 1950-54 where he was a cheerleader, Editor of The Current Sauce, member of the NSC Dance Band, College Singers, ROTC, gymnastics and swim team, and earned a Bachelor of Science Degree in Accounting. He joined the United States Air Force and participated in the Korean War and was honorably discharged in 1957 with the rank of Captain. He first worked as an accountant at United Gas in Shreveport. He met his beautiful wife at NSC and later married Kathleen Celine Prudhomme Batten Aug. 19, 1954, and joined Kathy’s family on Riverside Plantation farming row crops and raising cattle. He was a forward-thinking farmer and businessman. He was selected as the Young Farmer of the Year. He was a founding member and organized Water Works District #2 in Natchez and remained a Board Member until his death. He was also an owner/partner in Cane River Gin Company until its closing and was responsible for initializing a cloud-seeding program to benefit area farmers during a severe drought in Natchitoches Parish. John was a member of St. Charles Borromeo Church in Bermuda and later a member of Immaculate Conception Church and enjoyed singing with the 9 a.m. choir for many years. John was preceded in death by his precious children, Barbra Lynn Batten Harrison in 1998 and John Theodore Batten III in 2015; his parents; his father and mother-in-law, Frances Reginald Prudhomme and Louise Desiree Cloutier Prudhomme; sister-in-law, Daisy Marguerite Prudhomme; and great-nephew, Jake Lyons. He is survived by his amazing wife, Kathleen; daughter and her husband, Becky Ann Batten Vead and Arial Lawrence Vead Jr.; exquisite granddaughter, Lindsay Alexis Vead and Colby Session; sister, Gwen Batten Lott and her children Harry “Sonny” Hyams, David Hyams and Katy Hyams Lyons; and his son-in-law, Johnny Payne Harrison; and an amazing array of family friends, “adopted” children and our Cane River crew. Funeral services were Wednesday, June 20 at 11 a.m. at Immaculate Conception Church and burial followed at Memory Lawn Cemetery. A handsome man, a gentle spirit, and human loved by many. Dad may be gone, but he will be remembered as a giving, caring and an awesome person on this earth. Thank you, Jesus, for giving him to us for 86 years. We love you Dad!! Previous articleThis is for the birds!